Bob Richards Toyota invites drivers from throughout the Aiken, SC and Augusta, GA areas and beyond to shop our dealership for the latest Toyota models for sale, as well as quality pre-owned vehicle options. Our new and used car dealership in North Augusta, SC is proud to offer a full-service experience to all motorists with our auto financing, maintenance and parts staff. We welcome new and used car buyers of all budgets to shop our new Toyota or used cars for sale online now before visiting us for a closer look and a test drive. 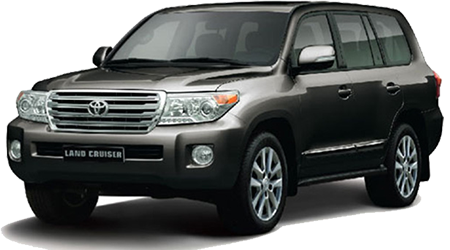 Here, you'll discover an extensive inventory of new Toyota cars, SUVs and pickups for sale, including popular models like the Camry, Corolla and Highlander in stock in an array of trims and configurations. Don't hesitate to reach out to our Toyota dealership staff at 803-279-8400. 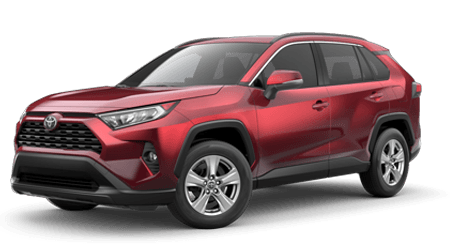 At Bob Richards Toyota, we put the needs of every customer first, so whether you are shopping for a competitive price on a new Toyota RAV4 or seeking quality maintenance for your current vehicle, we're here to deliver! We are proud to offer Bob's Benefits, which includes an abundance of perks, so stop by our dealership to discover why you should buy it from Bob! We offer auto loan assistance for all drivers, including used car buyers with less than perfect credit, so apply for financing through our website today. On the service front, know that our dealership is home to a dedicated Toyota service center that caters to many makes of vehicles and employs factory-trained and certified technicians and helpful front desk service staff. You're invited to stay on-site at our dealership during your car's service appointment, where you can take advantage of our spacious customer lounge area, complete with comfortable seating, free Wi-Fi access and complimentary beverages. The service department at Bob Richards Toyota is here to deliver top-quality automotive maintenance for all drivers, of all makes and models. With our team of professional service technicians that have been factory-trained and hold ASE certifications, you'll know that your Toyota is in good hands! Don't hesitate to schedule a service visit for routine maintenance like an oil change, tire rotation or even a multi-point inspection of critical components like your car's battery and brakes. Our service team is here for you with our professional expertise, genuine Toyota parts, competitive pricing and service specials. Our dealership in North Augusta, SC is your dedicated source for all things Toyota near Aiken, SC, including genuine Toyota parts and accessories. Don't forget to shop our user-friendly website now for all of your automotive needs. Here, you can apply for Toyota financing, find out the value of your trade, see our new and used car specials and even order Toyota parts. Visit our full-service dealership from nearby Augusta, GA at your earliest convenience for an elevated car shopping and service experience!